Could reading glasses soon be a thing of the past? 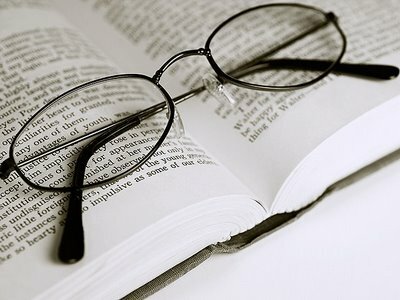 A thin ring inserted into the eye could soon offer a reading glasses-free remedy for presbyopia, the blurriness in near vision experienced by many people over the age of 40, according to a study released today at AAO 2014, the 118th annual meeting of the American Academy of Ophthalmology. A corneal inlay device currently undergoing clinical review in the United States improved near vision well enough for 80 percent of the participating patients to read a newspaper without disturbing far distance vision needed for daily activities like driving. Presbyopia affects more than 1 billion people worldwide. As people age, the cornea becomes less flexible and bends in such a way that it becomes difficult to see up close. While the most common remedy is wearing reading glasses, a host of new corneal inlay products are in development to treat the condition, with three types currently under review by the U.S. Food and Drug Administration (FDA). The theoretical advantage of using corneal inlays over wearing reading glasses is that corneal inlays prevent the need for constantly putting on and taking off glasses, depending on whether the person needs to see near or far. One of the devices is the KAMRA inlay, a thin, flexible doughnut-shaped ring that measures 3.8 millimeters in diameter, with a 1.6 millimeter hole in the middle. When dropped into a small pocket in the cornea covering the front of the eye, the device acts like a camera aperture, adjusting the depth of field so that the viewer can see near and far. The procedure to insert the implant is relatively quick, lasting about 10 minutes, and requires only topical anesthesia. To test the inlay’s efficacy, clinicians conducted a prospective non-randomized study of 507 patients between 45 and 60 years of age across the United States, Europe and Asia with presbyopia who were not nearsighted. The researchers implanted the ring in the patients and followed up with them over the course of three years. In 83 percent of eyes with the implant, the KAMRA corneal inlay allowed presbyopic patients to see with 20/40 vision or better over the three years. This is considered the standard for being able to read a newspaper or drive a vehicle without corrective lenses. On average, patients gained 2.9 lines on a reading chart. The researchers report that the results remained steady over a three-year period. Complications from corneal inlays in general have included haziness that is treatable with steroids; however, improvements in inlay design have made the effect less common. If necessary, inlays can be removed, making it a reversible treatment, unlike other procedures such as LASIK for presbyopia. The device is sold in regions including Asia, Europe and South America, but is not yet approved by the FDA for use in the United States. There are two other types of corneal inlays, Raindrop Near Vision Inlay and Presbia Flexivue Microlens, also in development for the U.S. market. Treating Emmetropic Presbyopes with a Small Aperture Inlay: Three Year Results (PO224) was presented at AAO 2014, the 118th annual meeting of the American Academy of Ophthalmology in conjunction with the European Society of Ophthalmology, which is in session October 17-21 at McCormick Place in Chicago. More than 25,000 attendees and 620 companies from 123 countries gather each year to showcase the latest in ophthalmic education, research and technology. To learn more about the place Where All of Ophthalmology Meets, visit http://www.aao.org/2014. The American Academy of Ophthalmology, headquartered in San Francisco, is the world’s largest association of eye physicians and surgeons, serving more than 32,000 members worldwide. The Academy’s mission is to advance the lifelong learning and professional interests of ophthalmologists to ensure that the public can obtain the best possible eye care. For more information, visit http://www.aao.org. The Academy is also a leading provider of eye care information to the public. The Academy’s EyeSmart® program educates the public about the importance of eye health and empowers them to preserve healthy vision. EyeSmart provides the most trusted and medically accurate information about eye diseases, conditions and injuries. OjosSanos™ is the Spanish-language version of the program. Visit http://www.geteyesmart.org or http://www.ojossanos.org to learn more.